There was a time when interior doors were something of an afterthought in many homes. The focus was on function, not form. These days, though, there’s a growing understanding that well-chosen doors can offer a serious style injection to any interior space. 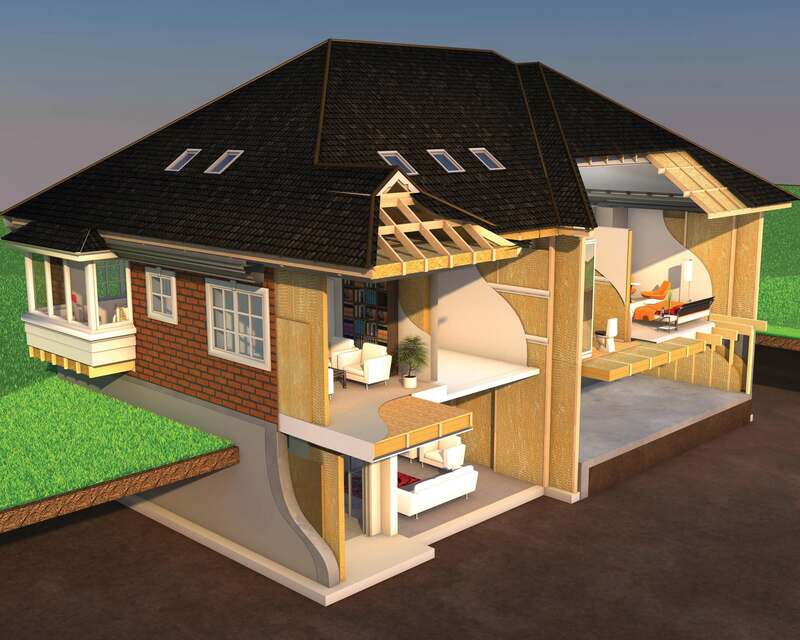 New technologies, too, mean interior doors can offer better soundproofing, safety and airflow than ever before. 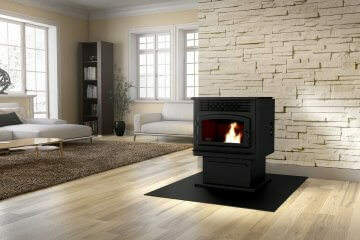 One significant trend is a move to a sleeker silhouette; a reflection of a broader trend in interior design. “More and more, consumers are looking for a neat, refined design when it comes to doors,” says Amal Sater, Sales Coordinator with Concept SGA Inc. That simplified feel applies to the colour scheme, as well. 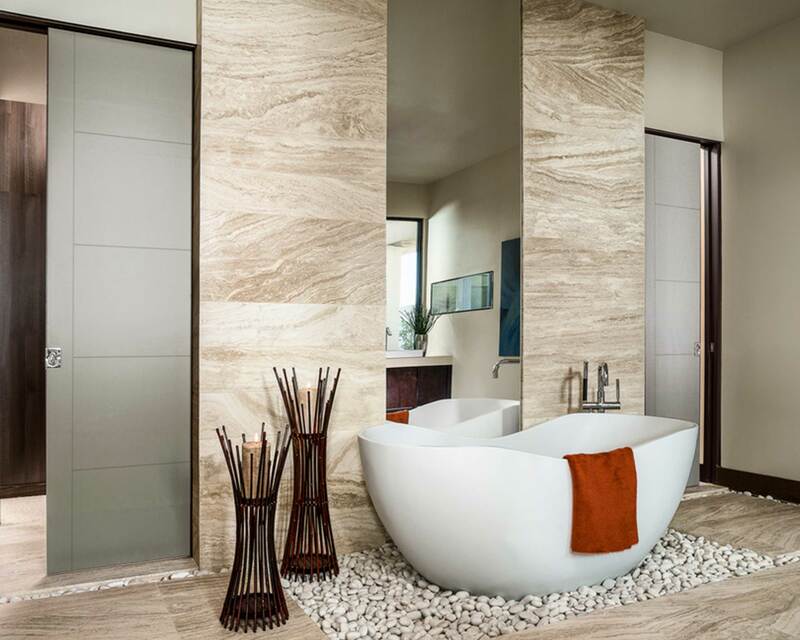 “White and espresso colors are popular and go well with any room or space,” says Sater, who points out the company’s popular Ambiance Series meets both these needs. 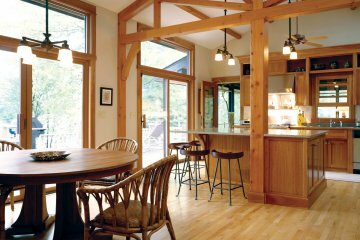 “Younger generation customers, especially, all seem to like very clean, very uncluttered design,” says Susan Ryan, Product Line Manager, Doors, with Jeld-Wen. Along the same lines, Ryan notes, “A trend that’s been growing for the past five years is what we call the flat panel design, or the Shaker style.” She adds, “We have that in a moulded panel—the newest design has three panels—and it has nice clean lines,” says Ryan. Hardy Rahn, Director of Sales for Alliance Door Products Canada, agrees. 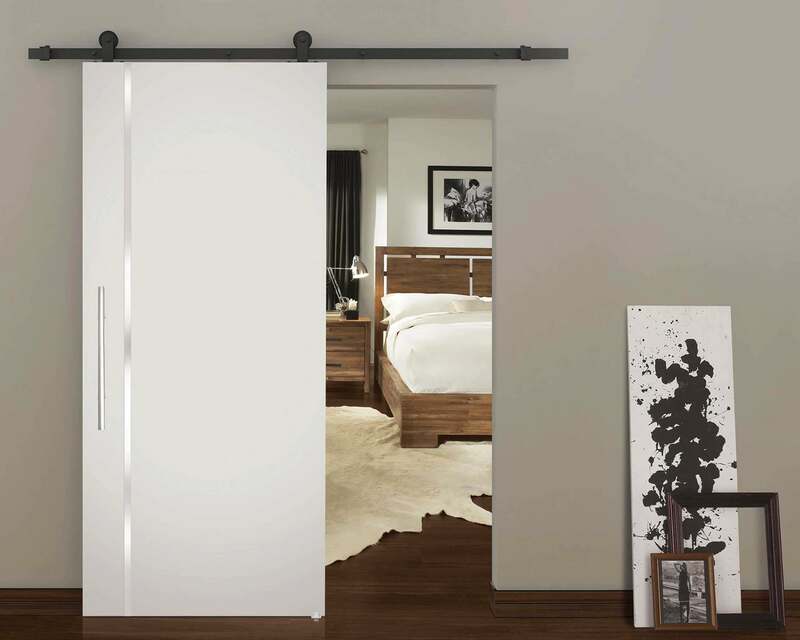 “Flat panel moulded doors are increasing in popularity,” says Rahn. 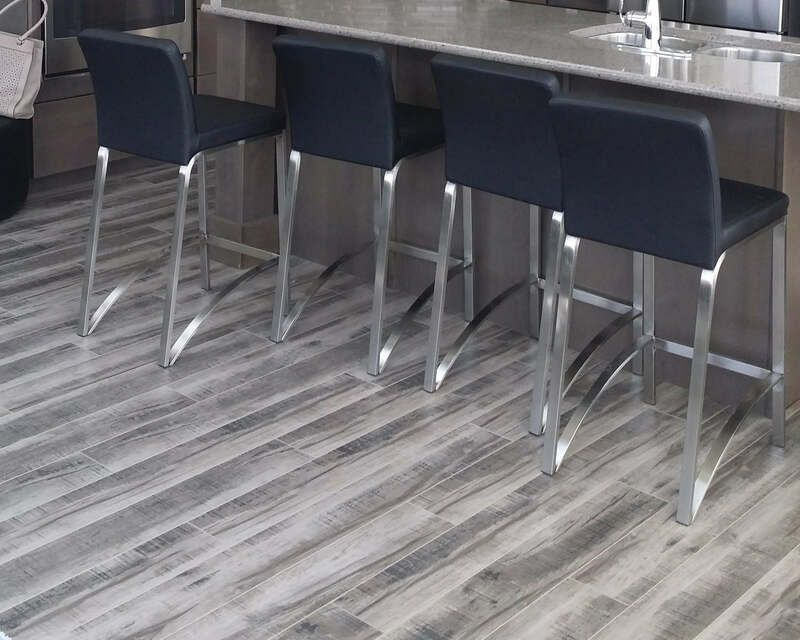 “One panel, two panel and five panel doors, which have a look similar to stile and rail flat panel doors, are in vogue right now.” Rahn points out that it’s a clean look and goes well with many cabinet doors favoured by homeowners at the moment, as well. Photo courtesy of Concept SGA Inc.
Advances in technology and production can often result in greater choice for consumers. 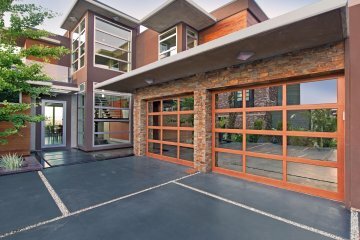 “We’ve seen a sales pickup in pre-finished doors,” says Rahn. He explains that, “With new technology and finishing qualities these doors match up with some of the wood cabinetry introduced the last few years.” He adds, “Our rift cut pre-finished hardboard comes in a number of finishes that compliment many of the current design trends in the marketplace,” says Rahn. Across Canada, there’s growing interest in upgrading interior doors for better sound proofing and safety. “You can take any of our hollow core doors and make them a solid core door,” says Ryan. “It will have substantial weight as well as improved sound attenuation, and a 20-minute fire rating.” She notes that many people choose to add this feature to certain doors like bathrooms or basement, for increased privacy. “As well, people sometimes do their whole home in this type of door just because it has a more robust feel,” says Ryan. Technology has also helped to solve some puzzles, when it comes to doors. For example, the VanAir doors from Alliance Door Products have made the most of tech to help facilitate airflow without compromising sound privacy –two features that haven’t typically been available in the same product. 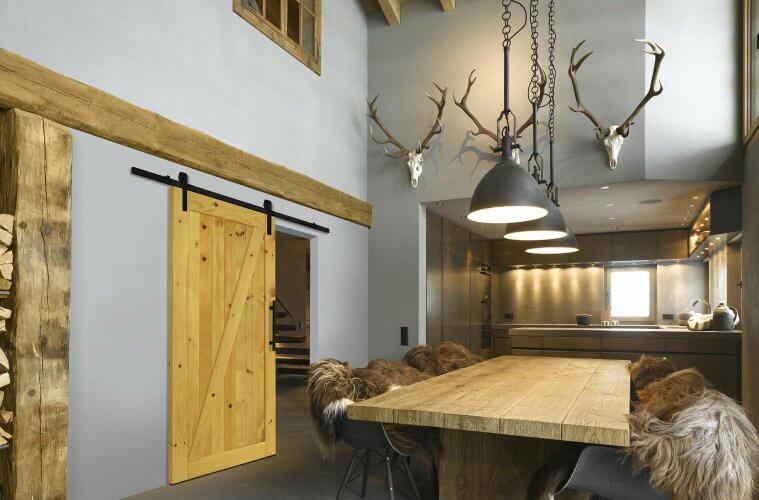 When it comes to the size of interior doors, there’s a growing demand for larger dimensions, in step with the higher ceilings typical of new builds. 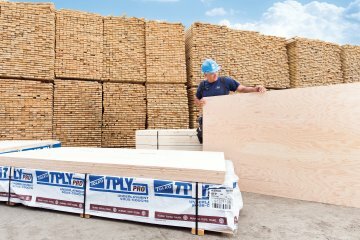 “In terms of height, our doors are available in the standard 80-inch, as well as 84-inch and 96-inch sizes because you do see that trend, especially in new construction, where you have the larger doors on the first floor, a little bit bigger on the second floor, then standard size in the basement,” says Ryan. There’s demand for wider doors, too. That’s partly for scale, as doors get taller, but also to accommodate the needs of an aging population planning ahead for the use of walkers and wheelchairs. 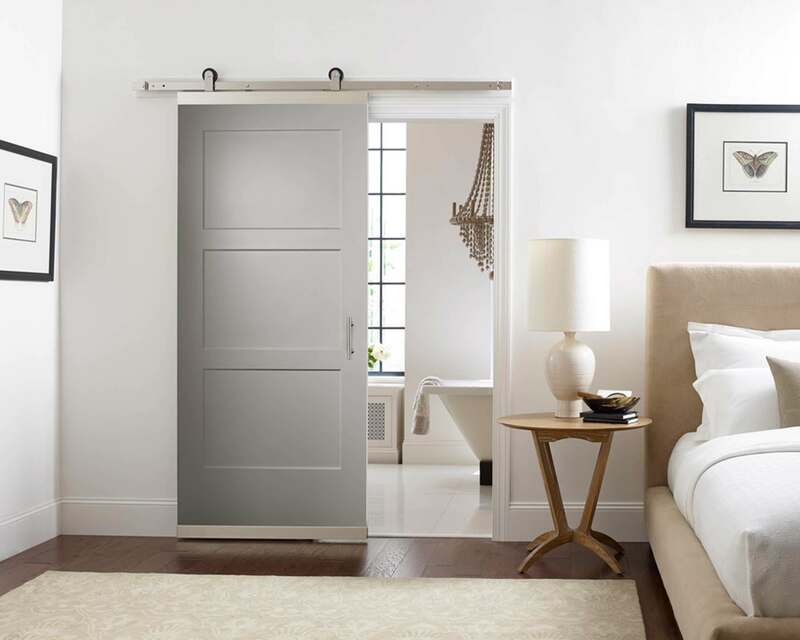 Whether it’s in response to the needs of an aging population, the preferences of a younger demographic, or a reflection of home design, interior doors are clearly no longer an afterthought. 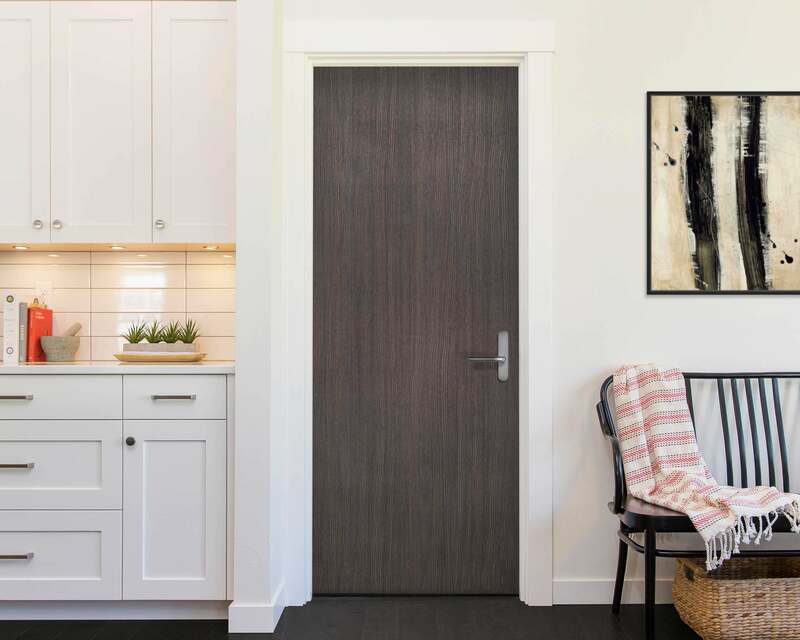 Choices for contractors are ample, with a range of sizes, technological advances and statement styles, making interior door selection an integral part of designing an interior space that’s both fashionable and functional.